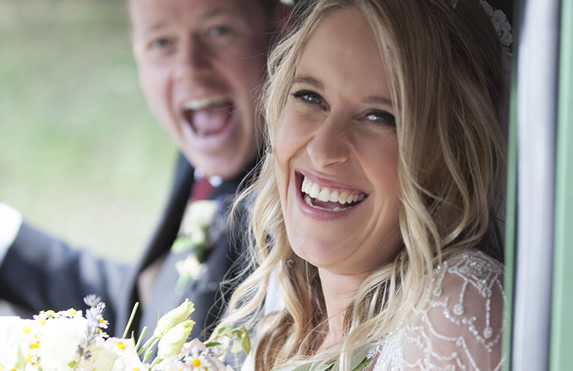 Court Farm offers extensive grounds to create the perfect rustic country wedding. The beautiful courtyard and vaulted ceiling barns allow couples to host their guests in a relaxed atmosphere surrounded by rural views and historic farm buildings. Your guests can explore the 16th-century grounds including a courtyard, apple orchard, walled garden, woodland and a duck pond. 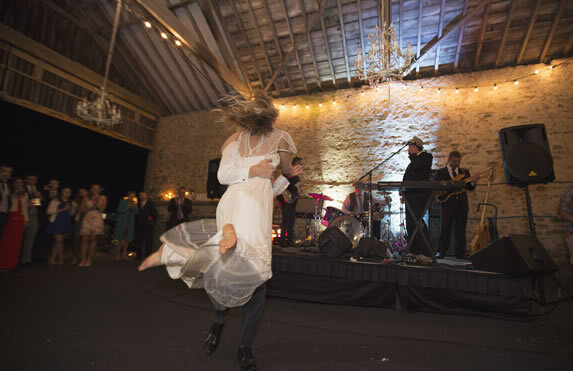 For larger weddings a marquee can be attached to the rustic barn with exposed beams, vintage chandeliers and antique bar area. 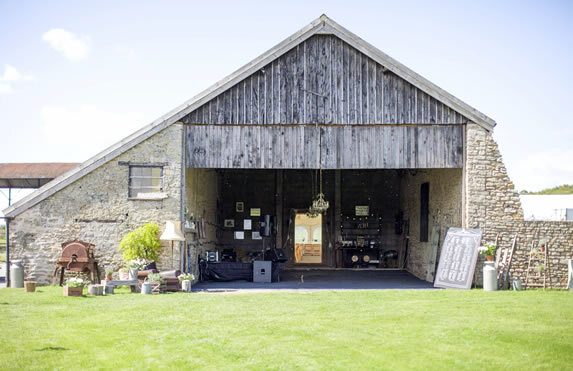 Court Farm is the perfect blank canvas to create a truly memorable wedding day. We can also provide assistance in suggesting local caterers and marquee companies to your taste. The venue includes boutique style accommodation for up to 14 guests. The restored Cottage, Dairy, Cow Byre and Cider Barn provide luxurious en suite sleeping accommodation with kitchen facilities and relaxed lounge areas. There is also a wide range of accommodation in the nearby area for other guests at your wedding. 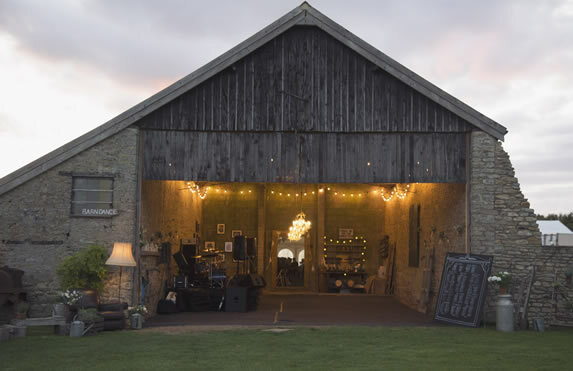 The rustic barn offers the ideal area to dance the night away with hosts able to create seating areas and use the vintage bar. You are free to book your own band, DJ or Cèilidh’ – music can play until 11:30pm with guests departing by 12.30am. There is a large field on the grounds where guests can park and meander through duck pond lane and the orchard to the venue. Guests are welcome to leave their cars overnight, but we would ask that they pick them up by midday on the following day. We have an on-site wedding styling and props company Palmer & Pea. With a great catalogue of striking items available for hire, Palmer & Pea focus on creating a completely unique look tailored to the individual. 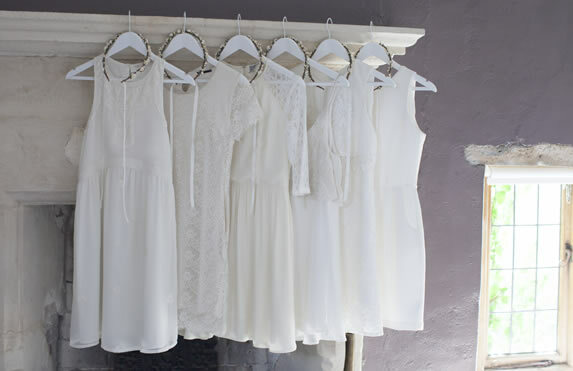 Whether you simply want to hire from the collection or are in need of styling support to create an unforgettable wedding, Palmer & Pea are happy to help! The collection consists of key statement pieces and striking architectural pieces, like the rustic handcart, perfect for creating a blossoming flower centre piece, or hosting a beautiful wedding cake. There is also a wide variety of eclectic vintage pieces to decorate spaces, like stacks of shabby chic leather suitcases, apple crates, 1950’s picnic hamper, or elegant cut glass decanters for decorating tables and perfect for serving a post toasting tipple!